We started Salted Caramel Week with Salted Caramel Skillet Brownies and we are ending with a Salted Caramel Brownie Milkshake. Salted Caramel Week goes full circle and ends with a big bang! Just when you thought Salted Caramel Skillet Brownies couldn’t get any better, they get blended into a milkshake. 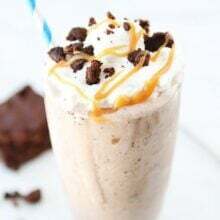 Vanilla ice cream, salted caramel sauce, and salted caramel brownies join forces to create an absolute divine milkshake. 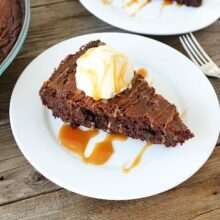 If you made our Salted Caramel Skillet Brownies this week and have a few leftover, then you are ready to go. If not, hurry and whip up a batch so you can eat a few straight from the skillet and then make a killer Salted Caramel Brownie Milkshake. I like my shakes thick so I added a little milk and only put the ingredients in the blender for a few seconds. I loved the chunks of brownies in my shake. A few got stuck in my straw, but I didn’t let that stop me. I kept a spoon close by:) The whipped cream, salted caramel sauce, and extra brownie chunks were the icing on the cake. 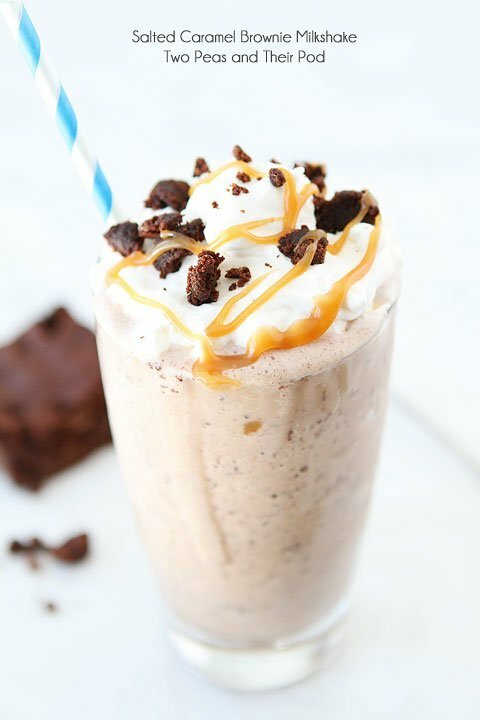 Salted caramel brownie meet vanilla milkshake. You will be so happy they met! This shake is divine! 1. 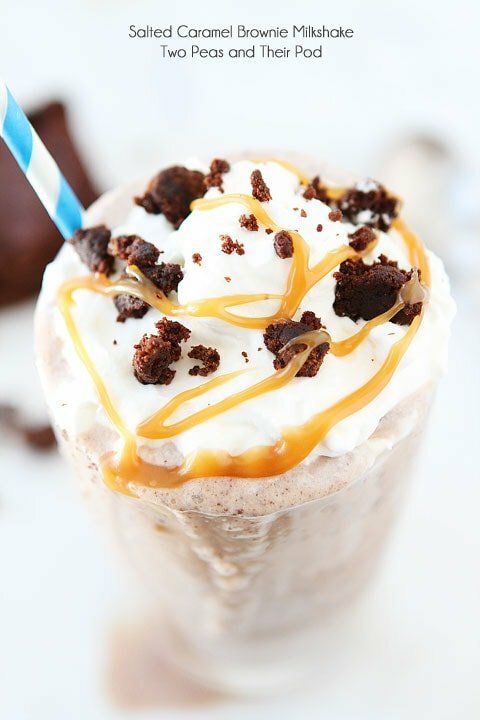 In a blender, combine the milk, ice cream, brownie, and salted caramel sauce. Blend until smooth. Pour into glass and top with whipped cream, if using. Garnish with extra salted caramel sauce and brownie chunks, if desired. Serve immediately. Note-if you like a thinner shake, you can add more milk. 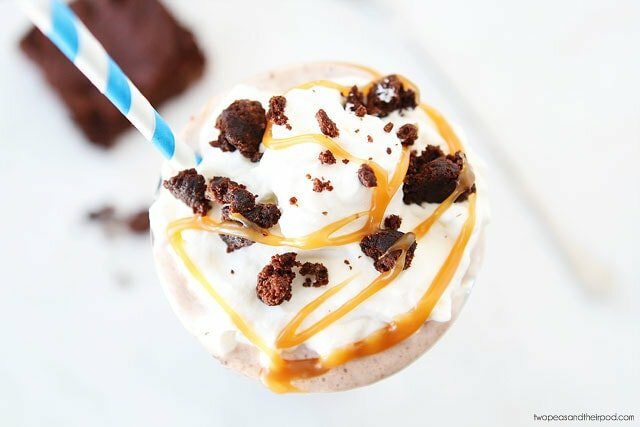 And you can use your favorite brownie recipe, but the Salted Caramel skillet Brownies are amazing in this shake! OMG! Your milkshake looks out of this world!! This is one milkshake I need in my life!! Just amazing! What a great way to kick off the weekend! yum!!! 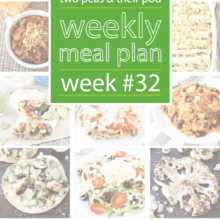 making this after work- happy friday! I have o make this today! It looks so so good!! I love the brownies! This looks too good to be true! I’ve been loving salted caramel and this looks just incredible! Oh my goodness this could be dangerous. I love Starbucks Salted Caramel Frappe and this looks very close. Yummers! This looks like heaven! 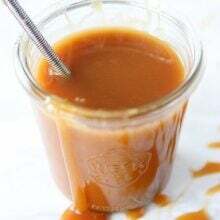 Mmmm loving all these delicious salted caramel recipes. Oh, this is *exactly* what I want to see on a rainy day. I may or may not have licked the computer screen. This is incredible! One of these would definitely make this Friday go by faster! Well, this is about perfection. chunky monkey, just a sprinkle of coconut on top and I’m totally in! Dairy Queen needs to take a hint and make this their next flavor of the Blizzard treat! Now every milkshake I’ve ever enjoyed looks pitiful in comparison. All about the brownie! But then again, it’s all about that caramel! I’ll take one for breakfast! I’m pretty sure caramel week is going to make me get a bigger pair of jeans. I’m already still wearing my maternity jeans but not sure the stretch is going to last much longer. 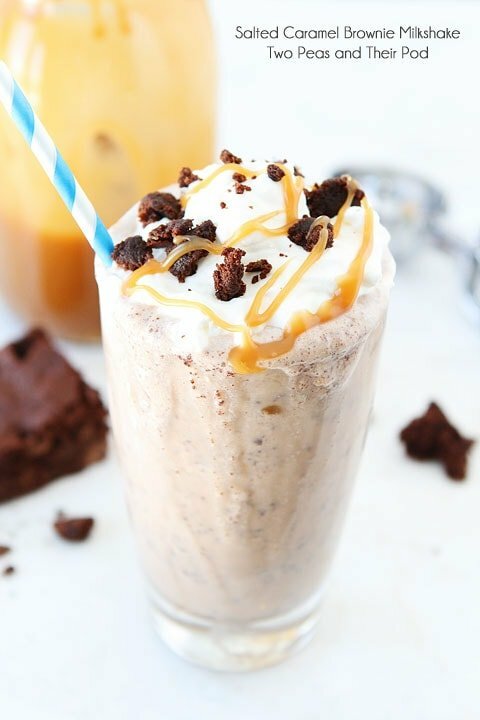 Love the idea of using brownies in a milkshake! Holy Moly… this is amazing! And so tempting!!! I am loving this caramel week!! These are just amazing and can’t wait to try one this weekend. You are too kind to share this milkshake, I don’t think I’d be able to part with this at.all!! I nneeeeeeeddddd this milkshake! Looks amazing! And this made my Friday. Now if only one could magically appear in front of me. That is nothing less than heavenly perfection! This is the best ending to salted caramel week! So bittersweet though! I’m currently thinking I should have this instead of dinner tonight. yup, definitely a good life plan. this looks divine!! I also love milkshakes with a thick consistency – the best! Oh, my heavens, Maria! This shake looks amazing! I die! This shake looks amaze balls! Everything a shake should be- and yes less milk the better!! I would definitely give myself a brain freeze as I couldn’t control myself around this beaut of a shake! Salted caramel is the best! I don’t know how you managed to share your shake..I probably would have finished the one and looked around for another! And your pictures are just gorgeous! LOVE! This is to die for!! OH. MY. YUM. This looks unbelievable!!!!!! And, ha, ha, all my favorite things in one amazing treat! Will have to make soon. In the meantime, I’ve added it to our “frosty frozen treat” Pinterest board: http://pinterest.com/deliciouskarma/frosty-frozen-treats. SO loving Pinterest these days! Only moments ago, I stuffed my face with brownies and ice cream, and I’m so full. That hasn’t stopped me from lusting after this milkshake. I do have one question. What is this “leftover brownies” you speak of? This is a thing I’ve never known. That milkshake looks delicious. Salted caramel sounds wonderful too. Excellent use of leftovers, Maria! That was kind of you to share your milkshake. I wouldn’t be so nice. 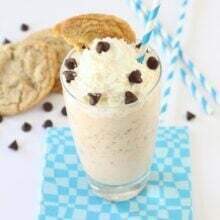 I need this milkshake in my life, love! It’s taking everything I have, not to go and make this right now! you got me at salted caramel. Wow. OMG this is unreal, my salivary glands are going wild. You know how to make a men milkshake. OMG, it looks so adorable! love this! we’ll be making these soon. My mouth is watering! Oh, I so need to make this! This look delicious! Wish I had the ingredients on hand! This must be made, and made immediately. I am drooling on my keyboard. Maria, why are you not my neighbor?